Military branch would maintain its presence in Marina del Rey for up to 20 more years. MARINA DEL REY—The U.S. Coast Guard will maintain its presence in Marina del Rey, potentially providing peace of mind for local boaters. 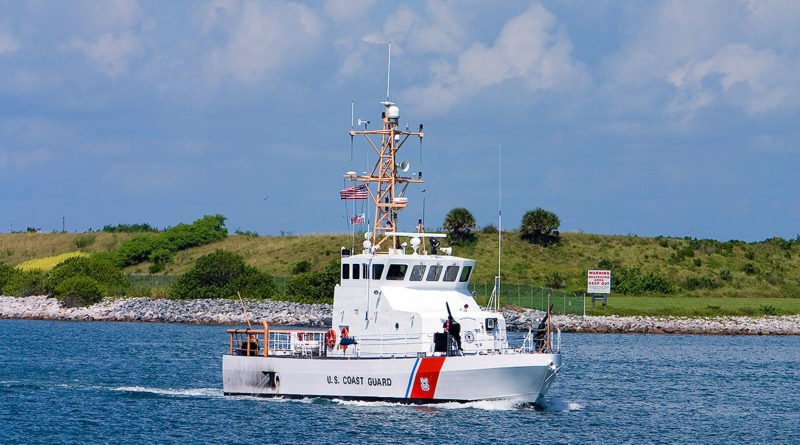 A lease agreement between the Coast Guard and Los Angeles County was approved by the latter’s Board of Supervisors, March 19. The lease option contract is for one year, with 19 one-year options, meaning the Coast Guard could stay in Marina del Rey until the end of the 2030s (if each option was exercised). “The proposed new Lease will help to ensure [Coast Guard’s] continued presence in Marina del Rey, where it serves an important role in promoting boating safety in local waters,” county staff stated in a formal report to supervisors. Members of the Small Craft Harbor Commission unanimously recommended the L.A. County Board of Supervisors approve a 20-year lease option contract with the Coast Guard back in February, allowing the military branch to remain in Marina del Rey. “Entering into the proposed lease with the [Coast Guard] allows the county … to prioritize the environmental health oversight and monitoring by strengthening the county’s capacity to effectively prevent, prepare for and respond to emergent environmental and natural hazards and reduce impacts to disproportionately affected communities,” county staff stated in its draft report, which was endorsed by the Small Craft Harbor Commission on Feb. 13. A boater who addressed commissioners at the Feb. 13 meeting in Marina del Rey said the Coast Guard’s presence there is vital. Marina del Rey, he said, was too far away from Port Hueneme and the Port of Los Angeles in San Pedro, where the Coast Guard also maintains a presence. It would take too long for the Coast Guard to respond to Marina del Rey emergencies from San Pedro or Ventura County, he said. The auxiliary space to be leased is located on Fiji Way in Marina del Rey; the Coast Guard will also be at Parcel 62. Occupying the leased space are the following: 1,503-square-foot building; auxiliary office space (140 square feet); concrete pier; and, mooring space. L.A. County is not receiving money from the Coast Guard for the leased space.